This weekend the weather here is Surrey was pretty poor! We had planned to wrap up warm, take a bit of Port and mulled wine to Bonfire Night...but instead it poured and poured and poured so I spent the evening making my own lip balms! I had watched a couple of tutorials for this online so gathered up all the ingredients and had a go! Once you have all of this together pour some boiling water in to your saucepan on a low/medium heat and put the little bowl in to the water. Mix together a few spoonfuls of coconut oil and some thin slices of wax in around equal proportions. Stir it all together and add the flavouring. I used rose flavour and at the time I thought I had used quite a lot, now it has set I think I should be stronger and should have added more, but with something like mint you don't want it to be over powering so add drops slowly. Once you've got this right spoon or pour it in to the little lip pots and let it set! So quick and easy. This feels so moisturising on your lips too! If you fancy making a bathch they make cute little stocking fillers at this time of year! Just in case you missed it... 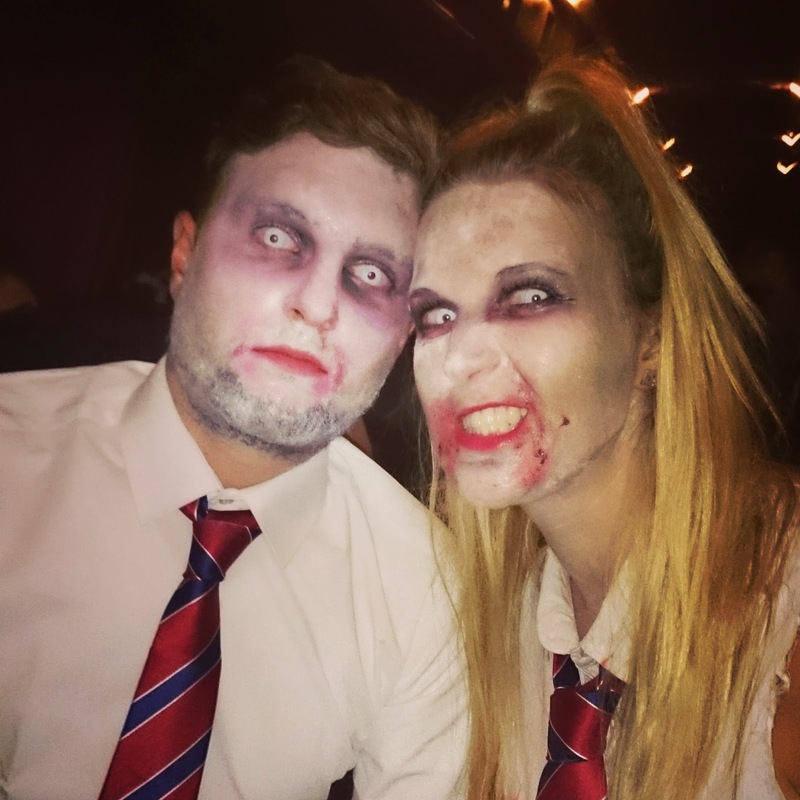 This weekend has been all about Halloween! 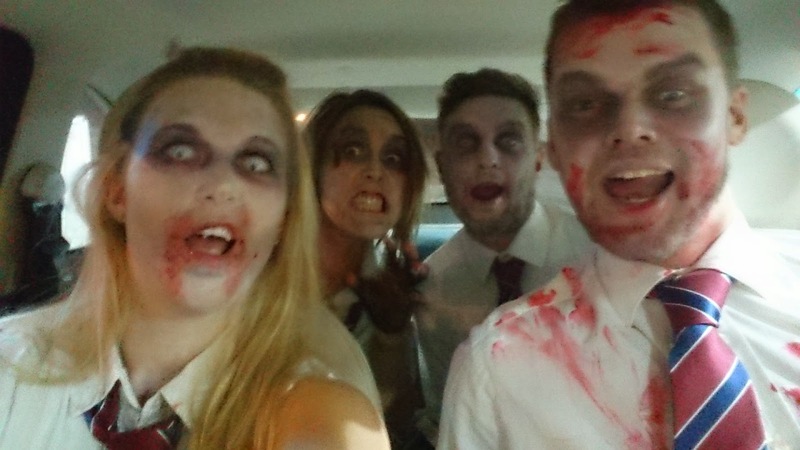 We all dressed up as a bunch of zombie school kids and went to Ministry of Sound in London. 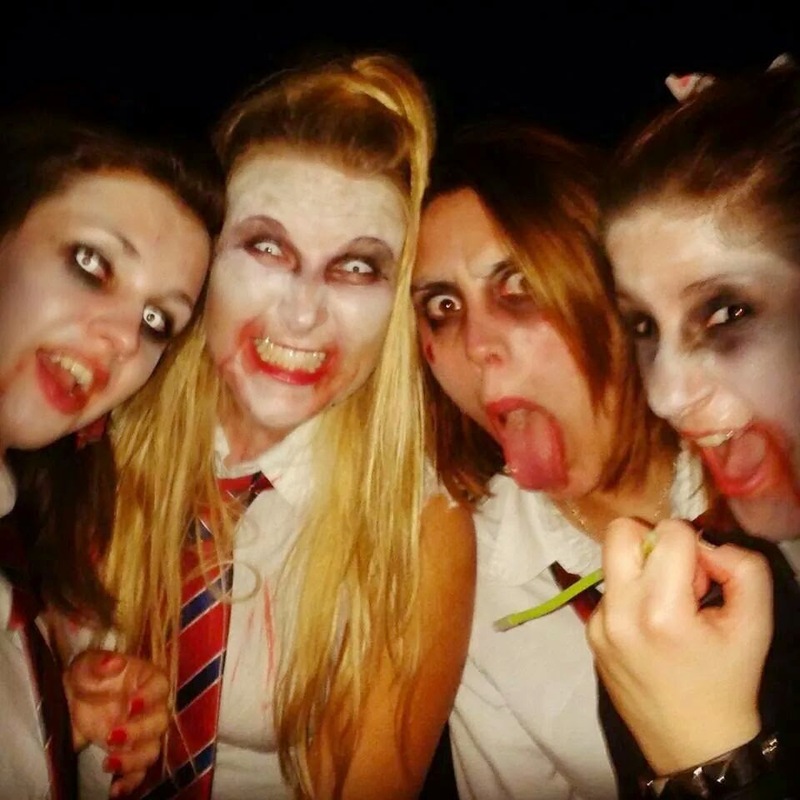 I think we make a pretty scary bunch! 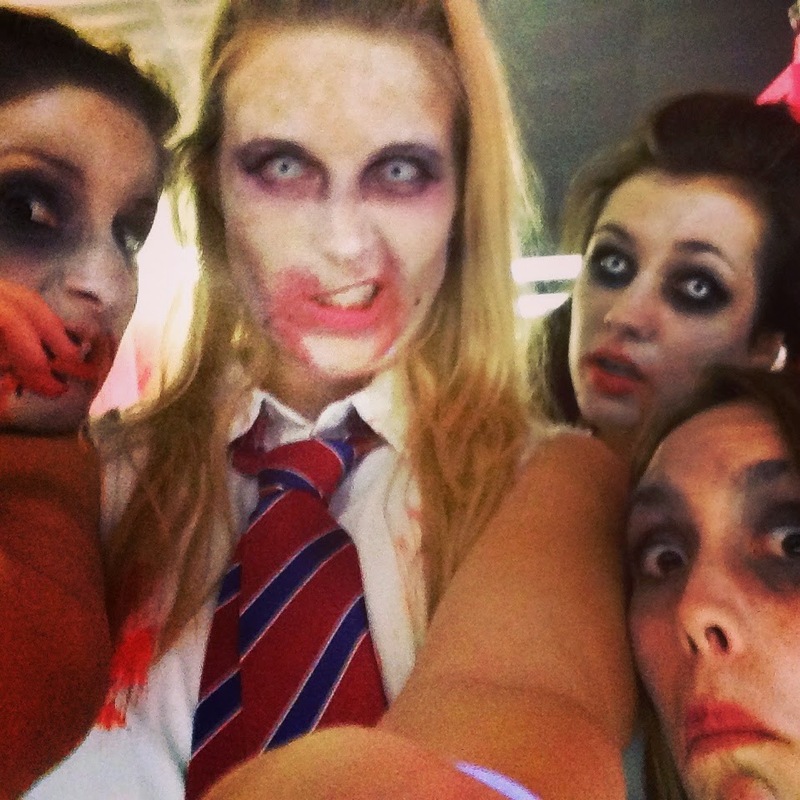 All it takes is contacts, face paint and fake blood! Fearne Cotton as dead Karl Lagerfeld...odd concept, looks awesome! Jasmine Franks totally creepy eyes! Jessica Vargas for the amazing unicorn wig! Millie Mackintosh and Pro Green looking awesome as skeletons! And finally, North West as the cutest skunk! Which is your favourite look?! What did you dress as? Caroline has been one of my best friends since we were 11 at school when we bonded over wearing bras. She is recently engaged. And she will kill me for using that picture! Yes, that is a goat on her back. 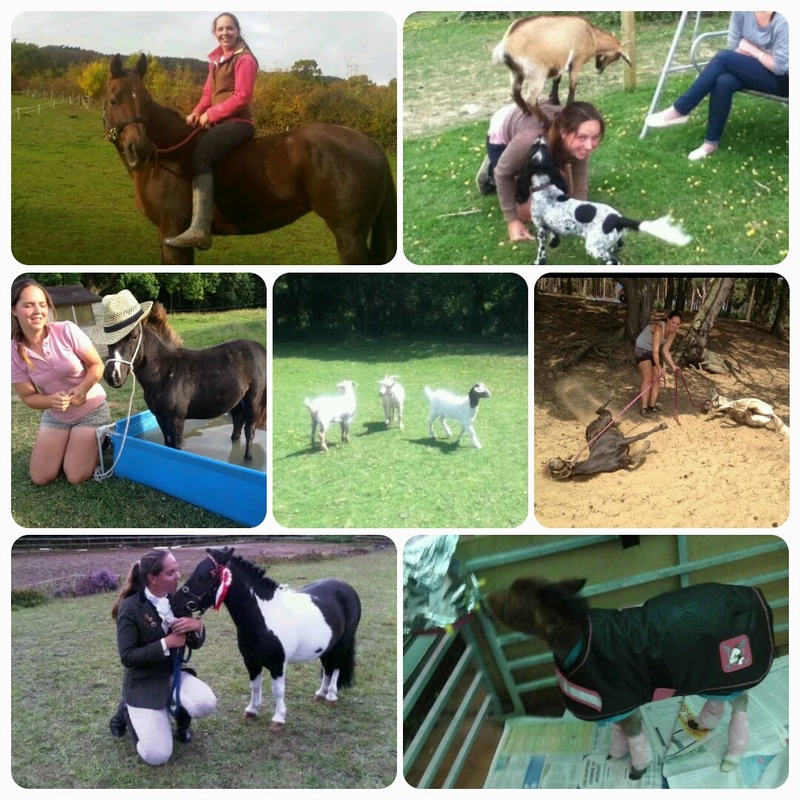 Back in May Caroline got a call from the equine hospital to say the RSPCA had found a miniature foal. She was found in a storm drain and no one quite knows where she came from, but she was lucky to be discovered. Twiggy was just a few days old when Caroline took her on, she moved in to her back garden and Caroline slept on the sofa for months to keep up her feeding. They went everywhere together, like another dog and she looked on Caroline as her mother sticking close by her side at all times. Because they had to stay so close Twiggy was quickly initiated in to the Pony Pals team. The team of little horses travel around to care homes seeing the elderly. The smell of horses often brings back memories for them and being able to plait their manes reminds them of getting their children ready for school. Shes now used to walking on different surfaces, avoiding equipment, going in the lift- they're even house trained! She's a quick learner and is doing a brilliant job! Twiggy started out life abandoned, thrown away and forgotten but now her fluffy little face brings happiness and the comforting feeling of nostalgia to so many everyday. Despite the fact she's obviously bonkers, I'm pretty proud of Caroline for rearing Twigs amongst her daily life, work and other animals, and I think she's doing a wonderful job making others happy. This was one of the items in our goody bags from the Cosmopolitan Fashion Festival. As I mentioned I was sold on it, but I thought I would share a bit more about it with you lovely people! You can read the official blurb about it here we were given the mini version which costs £4.50, but you you need a little amount so it will last a while. You put a little bit on to dry fingers and just rub it all over your dry face and the oil makes all the dirt and makeup just slide right off. Tonight we went to The Big Reunion! So I have got a full face of makeup and come home with nice smudgy eyes! I've rubbed it all over, smudgy smudgy black all round my face. Lovely! A simple rinse with warm water and everything is gone! So simple and easy! My eyeliner was waterproof and it's pretty much all gone, I'm impressed! It left my skin feeling really soft and clean, I got it pretty close to my eye and there was no stinging! I love the colours in this and it looks so warm and snug! Love the colour, design and how it looks like separates. So pretty for up coming parties! I know I may still be a bit premature for Christmas, but come December I want this one! Ed would look adorable dressed as a shark!! Plus I could find his better in the garden! 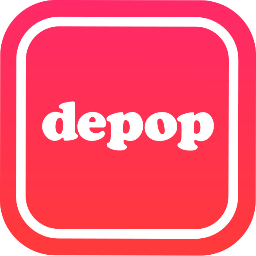 This week I signed myself up to Depop! Having moved to a new place with my boyfriend, despite the fact we have a massive wardrobe it's not quite big enough so we have had a clear out and listed some items on Depop. 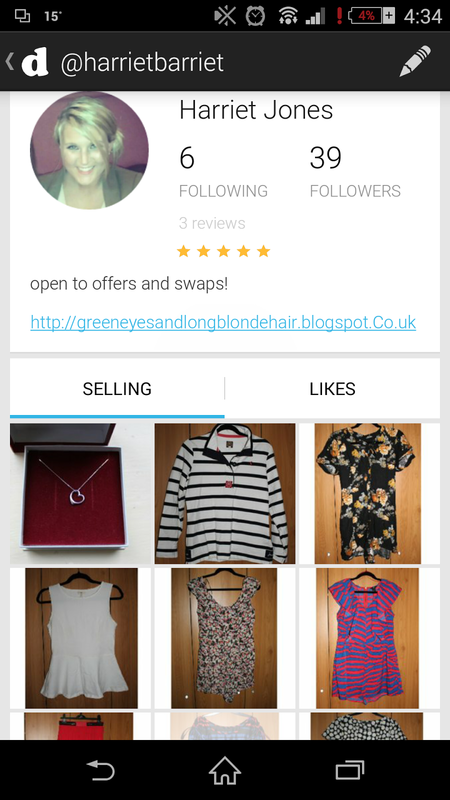 For anyone that doesn't know, Depop is a little bit like eBay. You list items with the price you would like then people can contact you for swaps or to make offers. You can search for my profile under HarrietBarriet. I have multiple thing listed in variety of sizes with new items being added daily! Nair hair removal cream with argon oil- almost bought this the other day, looking forward to trying it out. Sienna X Gradual Tan- will have to find a guinea pig for this, I'm allergic to tanners! DHC Deep Cleansing Oil- already used this a little and love it! Balmi in Mint- this was my favourite thing! You know by now that I love a lipbalm. This one comes with a little attachment so you can put it on your keys or phone so it doesn't get lost. It's really moisturising and smells amazing too.